From changing jobs to leaving relationships, we've all had to take big risks, make life-altering shifts — or completely start over. Join us as we share stories of the times in life when we've had to pivot. 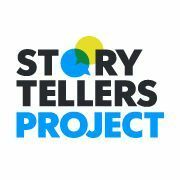 Tucson Storytellers is a part of the Storytellers Project, which is a series of live storytelling nights. USA TODAY NETWORK newsrooms curate and host night of true, first-person stories from neighbors and notables in our community. This night is produced in partnership with Startup Tucson. Event check-in starts at 6:00 p.m. Stories begin promptly at 6:30 p.m.